NOTE: Keep in mind that Facebook keeps changing their user interface, so if you cant find something mentioned in the instructions simply ask in the Comments below. After Login in to your Facebook Account, click on “Your Name” to go to your Profile Wall. Hover your mouse cursor (that means make your mouse arrow float) over the top-right-hand corner of the activity you wish to hide until a blue box with X on it appears. Click the X and you will see the new option to “Hide all…” Click it and all recent activity of that type (comments or likes or friends or questions, etc) will be hidden for as long as you wish. 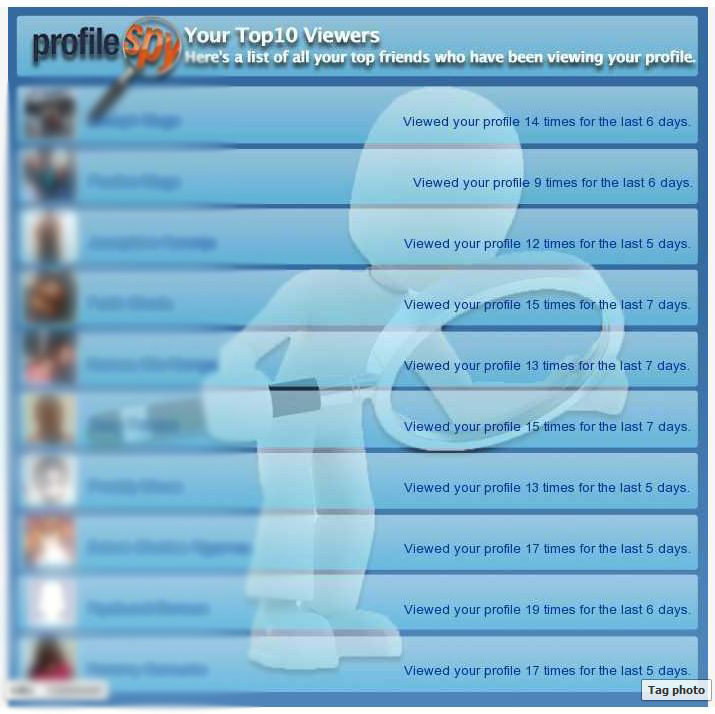 Now everytime someone visits your Profile’s Wall they will not be able to snoop at your Facebook activity anymore. 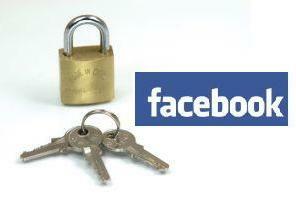 CLICK HERE to join our Facebook Page and stay informed of new Facebook Privacy features. Hi. I can’t hide my recent activities ( likes & posts ) in Facebook. If I Click Hide All like activities its aromatically Appearing Delete Post and Unlike. please Let me to know. What type of “Recent Activity” are you trying to hide? Is it an “Event” that you have RSVP’d to yet? Also , this only works in normal Facebook User Accounts, NOT PAGES. I just double checked and it still works fine on “Comments”, “Likes” and “Friending”. I suggest you scroll down in your Facebook Wall until you see the “Editing Options” at the bottom of your wall… Then click it and look at what Recent Activities you have/haven’t hidden already. Could please explain how and where can I reverse that once I hided all recent activities? 1. First scroll down your Wall all the way to the bottom. If Facebook loads more content then continue scrolling all the way down until you see the menu bar at the bottom of the page with the options named “Older Posts” and “Edit Options”. 2. Click “Edit Options“ and unhide any activity by clicking the “X” removal button next to it. 3. Finally make sure to click “Save” for your actions to be stored otherwise the removal is not effective. I dont have the like activity in edit options so I cant unhide me likes. does any of you guys have an idea? Since you are already on the “Profile Wall”, simply scroll all the way down until FB stops loading more “WALL” contents and instead it will display two options called; “OLDER POSTS” and “EDIT OPTIONS”. 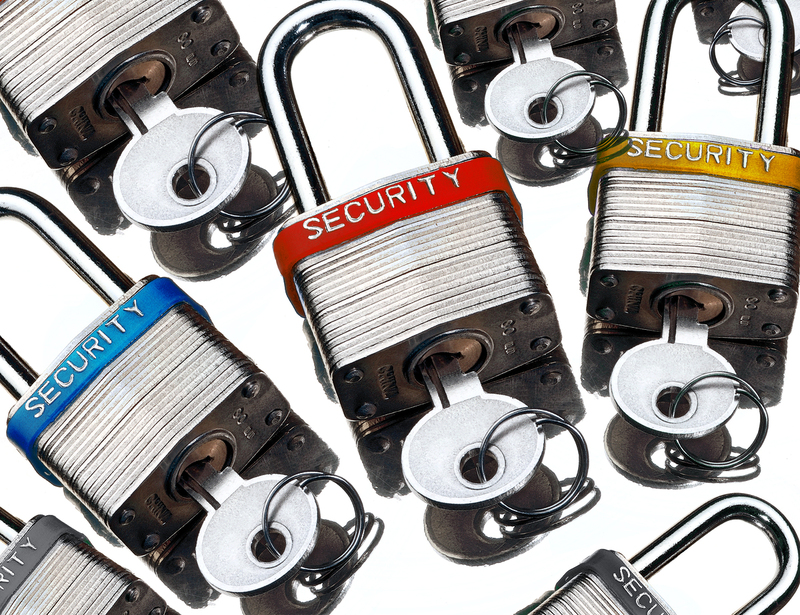 Those options are not big-red-caps-locked letters so pay attention here! You will see these two options down at the bottom…Good Luck Pamela! Sorry, i could not understand your comment….What are you trying to do? I want to unhide comments i made on my friends post. I have hidden comments from my wall but the “Edit Options” says “you have not hidden anything”. How do i edit my profile story settings? you can control who sees what on your wall in the “How You Connect” section of your “Privacy Settings” page. I’ve just done everything you’ve said to un-hide my recent activity however, nothing is showing as hidden in my’edit your profile settings’ box at the bottom of my wall and no one can still see my comments on friends pictures or status. I can see it on my wall however, no one else can see it. Can you help me please? It’s driving me nutts! could you check your settings first and make sure you are not restricting them in the “How You Connect” section of your Privacy Settings page. My recent activity doesn’t show the part that says I am now friends with? How do I get it back? I have already tried going to options at the bottom of my wall. For most people if you go on to your wall scroll right down to the bottom of your page and click on edit options on the right hand side a box should open saying edit your profile story settings and you just click the x beside friending activity. The problem I’m having is that it says I have no stories hidden?? Hmmm..sounds like bug to me because it’s being reported randomly by lots of people, BUT ANYWAY try this work-around: first find a Recent Activity that is still shown on your wall and click the arrow-down (formerly an X) next to it then select “Hide All Recent…Activity”(Dont worry since this is just another way to get the edit options dialogue). A box will pop up with a link called “Edit Options.” Click on that link and hopefully it will now show your hidden activities in another box called “Edit your profile story settings”. if it does, simply proceed to remove whatever you want to un-hide by clicking X. Hope this helps! I’ve been trying to get my “Edit Options” back, but even with posting 20 youtube videos and a ton of status updates on my Wall, when I scroll down, the pages takes a second and loads the earlier posts. I cannot get the “Older Posts” or “Edit Options”. Can anyone help? •first find a Recent Activity that is still shown on your wall and click the arrow-down (formerly an X) next to it to reveal a drop-down menu. •Click on that link and hopefully it will now show your hidden activities in another box called “Edit your profile story settings”. •simply proceed to remove whatever you want to un-hide by clicking X. Hope this helps! I have for HOURS gone around and around trying to reinstate “Recent Activity”… YOU NEED TO MAKE IT CLEAR… in that there are “edit options” one on your HOME page and one your PROFILE page…. you need to go to PROFILE page (the one with your profile name and photo) and go to edit options at the bottom of that page… and there you have the restriction of deleting the X. The Home page has no such X nothing!!!! ughhhhh I finally have my RECENT ACTIVITY again!!!!!!!!!! oh boyyyyyyyy yay!!!!!!!!!!! The sub-section titled “Un-hide Your Hidden Recent Activity” clearly stated: First scroll down your Wall all the way to the bottom.. Of course everyone on Facebook knows how to write on their friend’s Wall, dont they??? There’s only one link called WALL – it is the default view of a Profile page and sits right underneath your Profile Picture in the non-Timeline version. But still if you didn’t understand what to do because you tried reading a small section of the article, you should have looked at the previous section and you would have seen the very 1st step which points us to the correct location for these settings. I sympathize with your frustration Marta but I think we all agree that the whole confusion about Privacy Settings is down to Facebook! I have the same problem. I selected to “hide all” and would now like them back on my wall. I don’t have the options “OLDER POSTS” and “EDIT OPTIONS” at the bottom of my profile page. I have no recent activity on my wall because I hid it all. Is there any way to get this activity unhidden? i hid my “Likes” box on my timeline trying to hide one like that i made not knowing that i can hide it individually in the “recent activity” box. now, i want to unhide my “likes” box so it would appear again on my timeline. but i don’t know where to unhide it. please help thanks! How can I hide recent activity that I can’t find on my profile? When I click “view as” (as viewed by my friends), the recent activity is there. But I can’t see it on my profile and I wanna hide it! Please help.Thanks. Hey…I tried scrolling down…all the way don….But my timeline doesn’t give me an option to edit posts…I want to unhide my activities from not showing on my profile… I need help so bad! I don’t see the edit posts link at all! Hey! I have a question regarding a previous version of FB before the Timeline. I don’t know how to hide my recent activity on my wall completely from PUBLIC. Because the public can see some of my posts for example when I write on somebody’s birthday or they can see which page i liked recently. Can anyone tell me how to BLOCK my Wall all the way from Public being on OLD USER INTERFACE version? Please help! How do I unhidden my recent activities on my kindle fire? The page never stops scrolling. Hi, I’m using the old FB interface (before Timeline)and trying to UnHide My likes. I opened “Edit Option” in my Wall and in “Edit your profile story settings” the only “Hidden Story Types:” listed is “Friending activity”. The Likes activity is not listed there YET, when I “Like” something (photo, comment, link) it does NOT show on my profile. I would like to show my Likes on My Wall. P L E A S E HELP!!! The recent activity box in the photo above looks different from mine. I’ve been trying to hide all my ‘like’ activity but the pop-ups you mentioned don’t appear. Do you have an updated article about this for Facebook Timeline? I go to my Activity Log and see that my ‘likes’ are all ‘allowed on timeline’. And I have no option to hide them from my timeline! It’s maddening! Please help. Hi, I try to unhide recent activity. I scroll all the way down, and I reached all the way to the bottom to when i was born. The page does not stop to say older post and edit option. Please help. I try to unhide recent activity. did you ever fix yours thats whats happening to me??? Please help. I accidentally hid an album I uploaded from my timeline.As a result,﻿ when I upload more pictures to the album, it doesn’t appear on my timeline. How do﻿ I unhide the album? Step 2: Find any “Hidden” item with the help of the filters provided in that page. For hidden items, an icon will show the text “Hidden from Timeline” on hovering at the extreme right of the item. Click that icon. 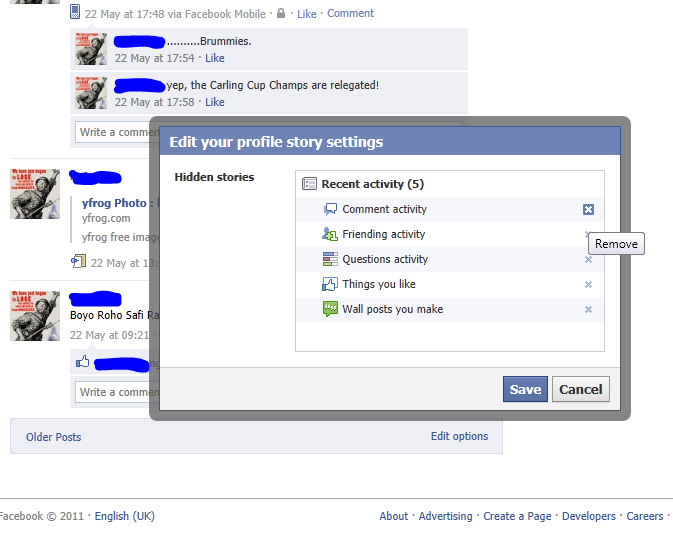 Step 3: Change it’s status to “Allowed on Timeline” and the hidden item will be visible again. Spot on with this write-up, I honestly think this web site needs a lot more attention. I’ll probably be back again to see more, thanks for the info! I am not sure where you’re getting your info, but great topic. I need to spend some time learning much more or understanding more. Thanks for the excellent information I was looking for this info for my facebook mission. This topic was… how do you say it? Relevant!! Finally I have found something which helped me. Thank you! Hey im trying to unhide my recent activity, i read your comments. but whenever i scroll down on my timeline those two options dont appear it just keeps loading to further activity. can you please help me ?